This was meant to be an article, but it seems that most of you just can’t wait that long. So I’ll save you the wait, pass on the fluff and get straight into it. 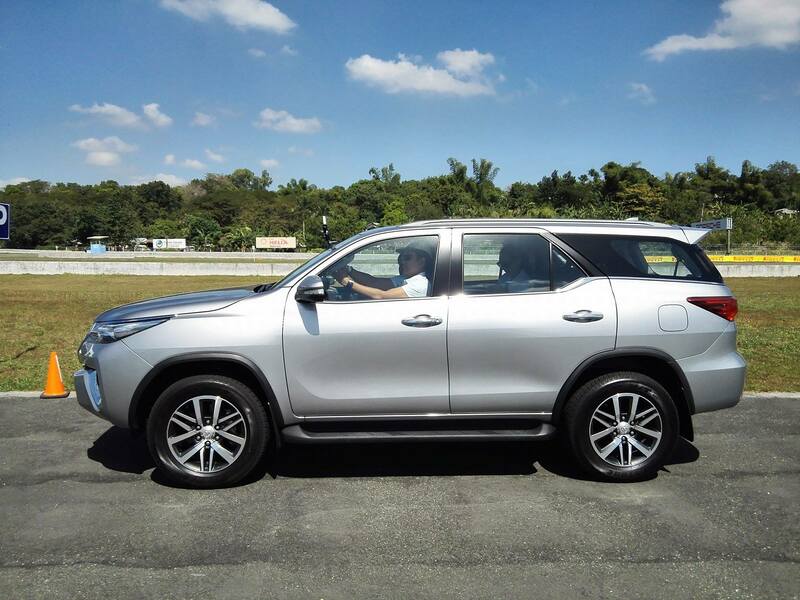 I drove the all-new Fortuner today and here’s what I thought. 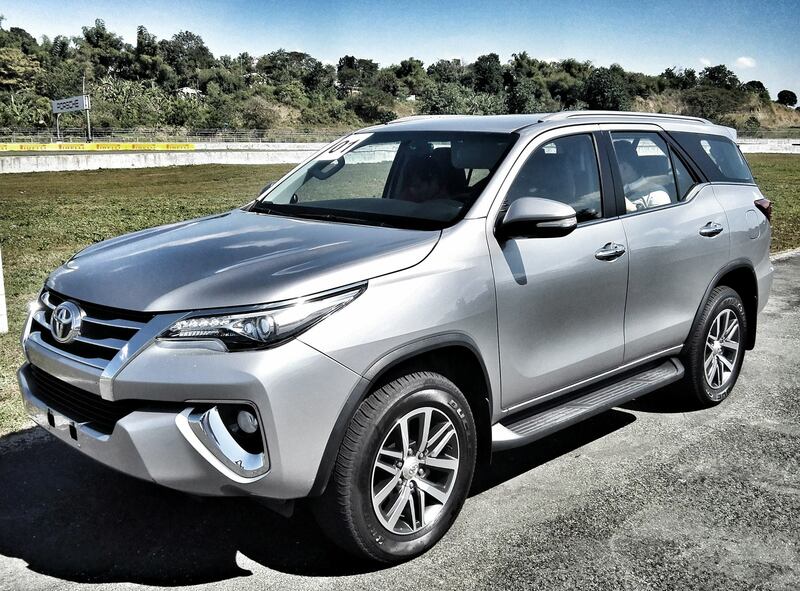 It already looked pretty swish in the photos, but the new Fortuner is even better looking in the metal. It’s longer, wider, and the new bi beam LED headlamps with DRL gives it a sleek, modern look that ties in with the US models like the Kluger. It has 3 distinct character lines that break up the boxiness normally associated with SUVs, plus the blackened out D pillar gives it a really nice floating roof effect. Inside, splashes of soft leather across the dash and an upgraded multi-media entertainment system adds up to a very premium feel. The only issue I had was the fabric of the seats. It’s not a deal breaker, but it would be much nicer if it were kept plain. 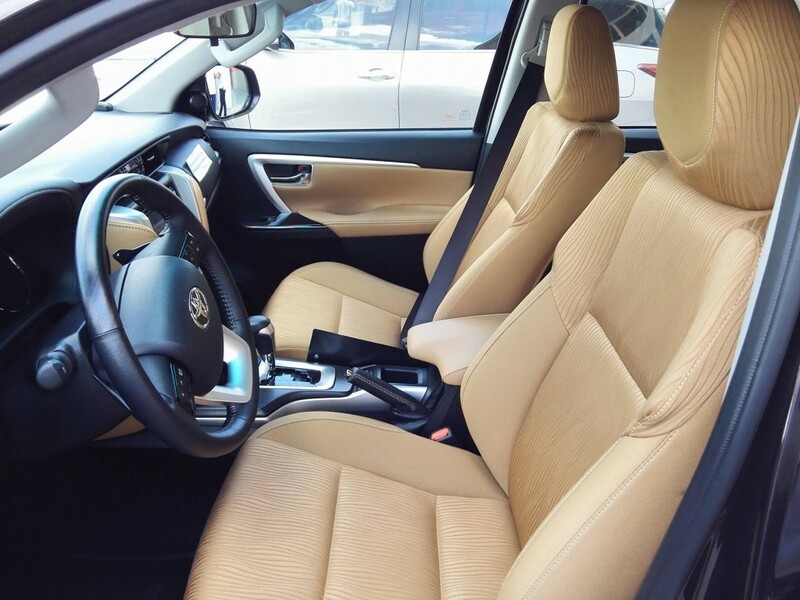 If you can spring for it, get the V variants with leather––it is soft, sculpted, and better than any other seat I’ve tried in its class. Plus the dark Hazel brown colour feels a lot more upmarket. Engines are also new. I only drove the 2.4 version and it’s a big improvement in NVH. Power is comparable to the Everest 2.2 and was indicating 10 km per litre on the trip meter. If you’re doing city running and rarely go out of town fully loaded, you will be plenty happy with this. And so will your wallet. It’s only once you start climbing where you’ll miss the extra displacement. Big news here though is the ride. It is a lot more comfortable. 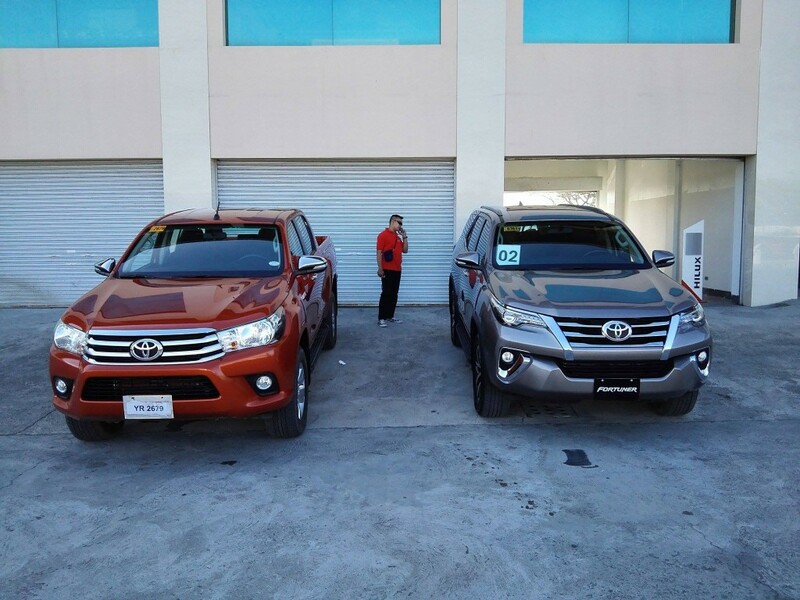 Granted we were on a race track, but a back to back test with an previous gen Fortuner showed that Toyota have spent a lot of time on getting this right. It features clever new suspension management systems that allow for better rebounds over humps and the whole set up is just a lot more forgiving. Steering has also been improved and feels more car-like. 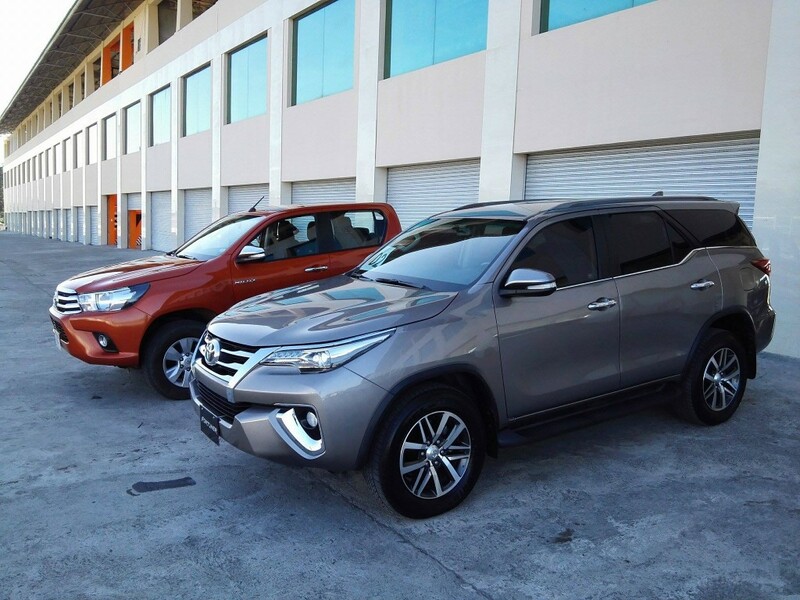 Current Fortuner owners will really feel it and it should make a big difference over long trips. 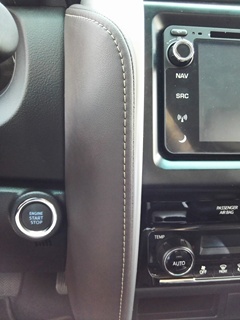 Plus the new design of the multi-functional steering wheel is up there with the premium segment. It also comes with a 6 speed gearbox. Not quite the 8 speed of the Montero, but honestly, you won’t miss it. Same goes for the lack of 4-wheel disc brakes. I know, I know, disc brakes are better, but you know what? If we’re entirely honest about it, unless you’re racing or doing high performance driving, it’s really something that has been over-glamourised by marketing departments and, yes, even motoring journalists. The biggest advantage of disc brakes is how quickly it dissipates heat, which prevents fading. This is great if you are driving around a track or very spiritedly down a mountain road. But if you’re driving the way these cars were designed to be driven, you wouldn’t be able to tell. Seriously. It’s no different to understeer and oversteer. It makes no difference in day to day use. In fact, if you start feeling understeer/oversteer or brake fade in your SUV, you’re driving it wrong. And you have bigger problems to worry about than upgrading to discs. Bottom line is, can it stop as well as disc brakes do in an emergency condition? Yes. Arguably even better because of the contact surface. If anything, you are more limited by your tires. The biggest drawback of the Fortuner is the price jump. It tops out at 2, 141M for the top of the line version. But the good news is you should be more than happy with the 4x2 V version at around 1.7M. Which begs the question: is it better than the Everest, Trailblazer or Montero. So far, I'd say the Everest offers a better overall package with the 3.2 liter Titanium, but things are going to get real personal as you go down in trim and specs. Then you have to consider how long you plan to own the car for, and Toyota dominates the long-term ownership division. So definitely a lot to talk about. But I’ll save my final conclusion until after I test drive the Montero in about a week. Watch out for it on an upcoming episode of Drive on CNN Philippines. «Illegal street racing Ok with local authorities?